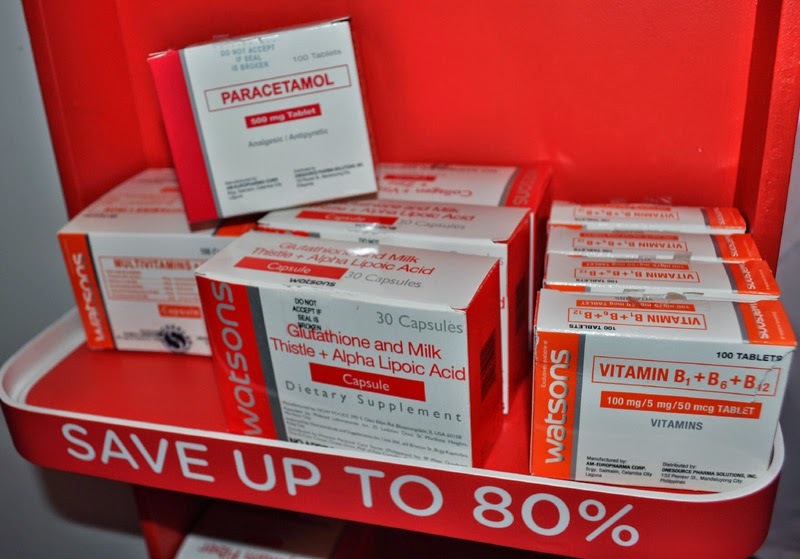 I love shopping at Watsons because it's so much easier to find everything from personal hygiene, beauty and pharmaceutical products. 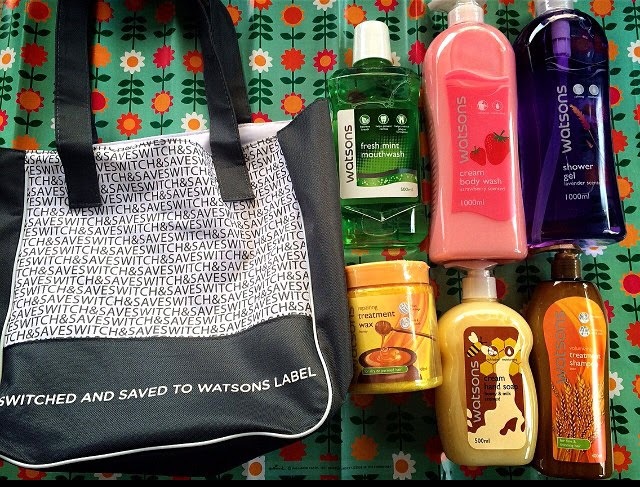 I prefer buying Watsons brand products like hair treatment, liquid soap, tissue paper, wipes, etc. because I like that Watsons brand products are priced much lower than other brands yet it has the same or much better quality. 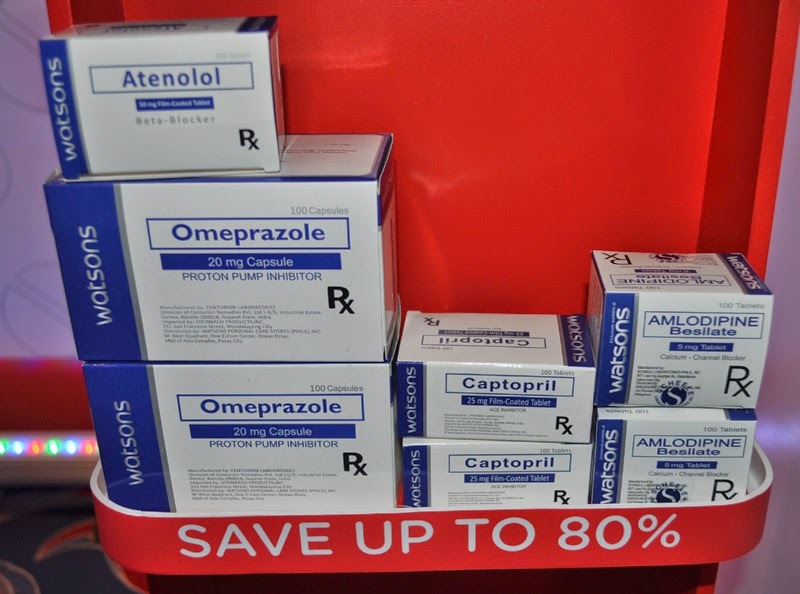 This brings me to the latest from Watsons brand's own line of high quality and affordable generics medicines-Watsons Generics. 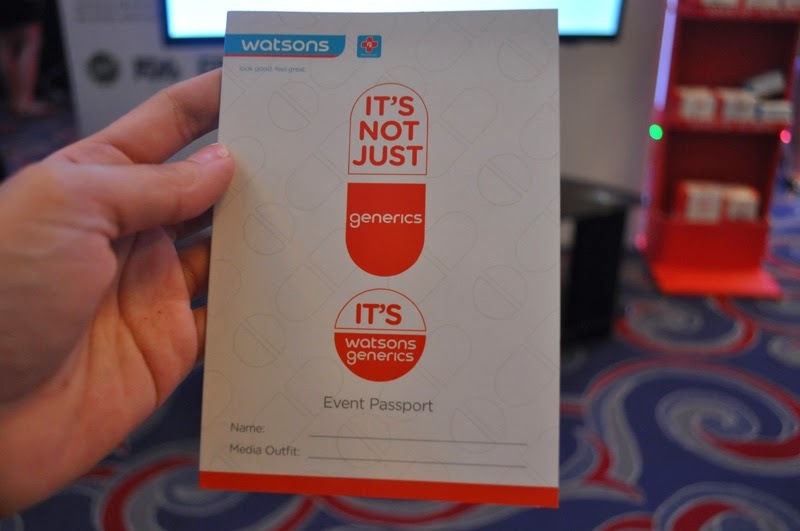 At the launch of Watsons Generics, each of us were given a passport upon registration. 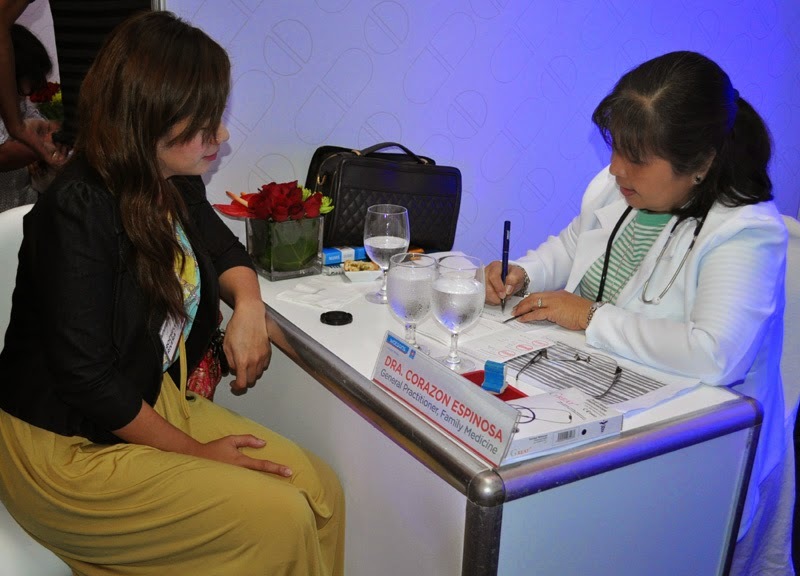 It was a passport for the wellness stations they set-up during the event. 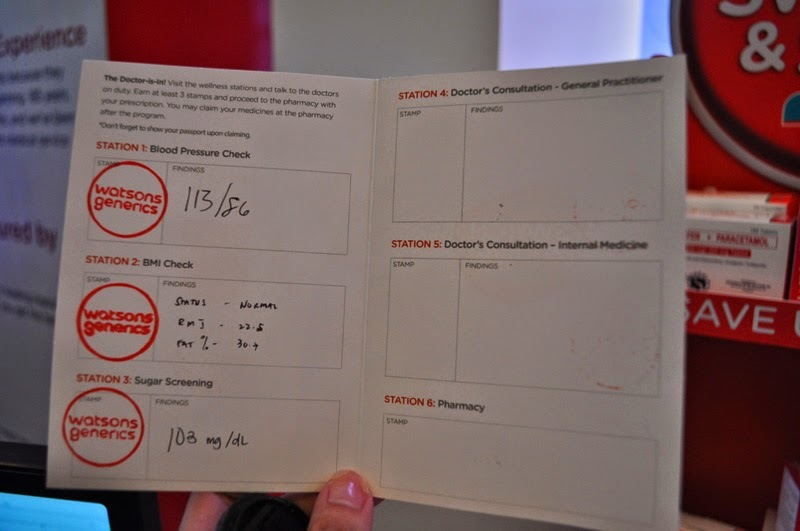 The first station I visited was the Sugar Screening Station or a Glucose screening test to measure the amount of blood sugar or glucose in the body. Then I proceed to the Blood Pressure Check station to monitor my blood pressure. 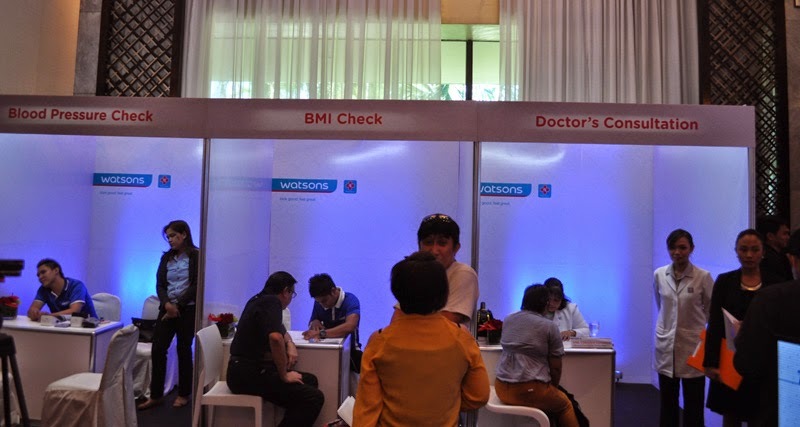 Next to it was the BMI (Body Mass Index) Check station to measure body fat based on height and weight. 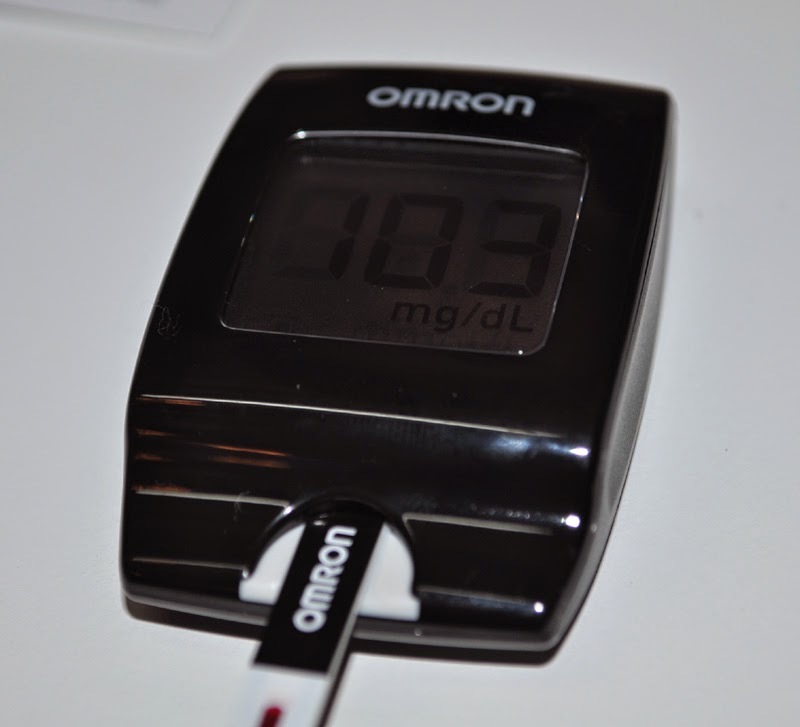 Blood Pressure Check: 113/86 which is in normal range. 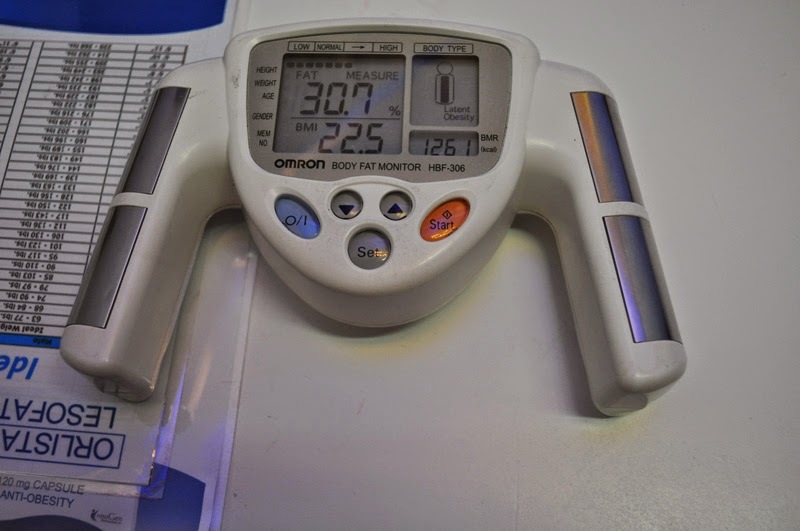 ♥ My height is 5 feet and 4 inches so overall all my findings was normal except for the fat %, I am over .7% so I really need to start working out to burn the excess fat. Then I consulted the doctor with my findings since everything was normal on my test she just prescribed me with a multivitamins that can help me to lead to a more healthier lifestyle and to prevent heart disease or cancer since Multivitamins has B vitamins to cut the risk of macular degeneration, zinc is necessary for immune function and healing, and magnesium and phosphorus boost bone health, to name a few benefits of taking multivitamins daily according to Dra. Espinosa. 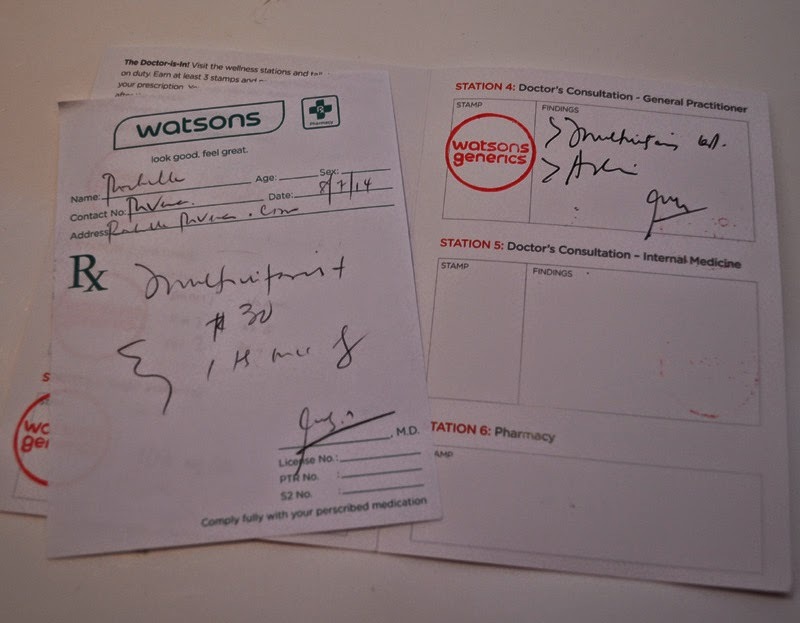 Then I proceed to the pharmacy station with my prescription and I was told that I can claim my medicines after the program. 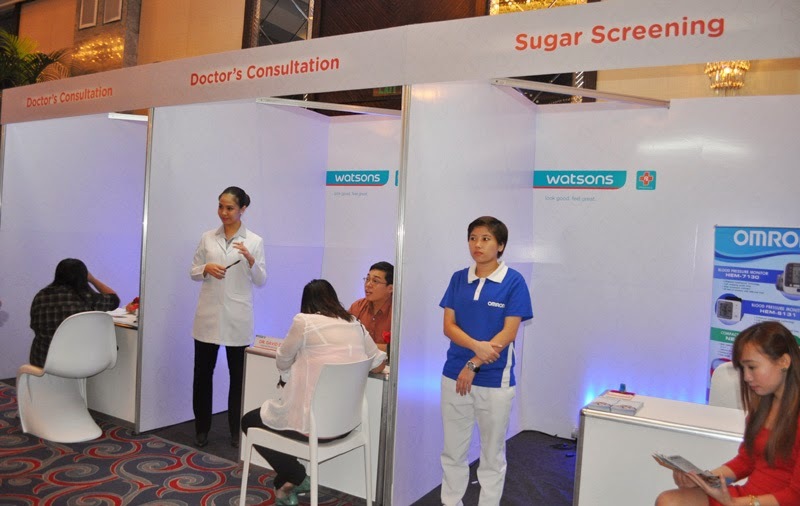 While waiting for the program to start, I checked out the Watsons generics selection of medicines and supplements at the pharmacy station. 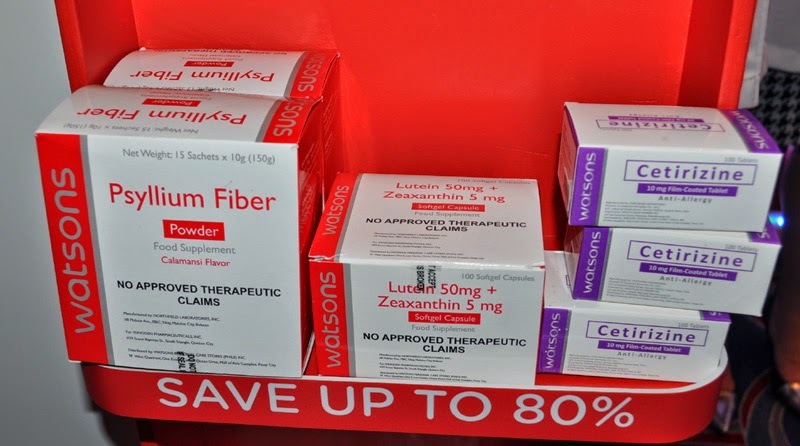 The Watsons Generics line includes maintenance medicines for diabetes, hypertension and cholesterol, antibiotics to fight off the common bacteria, dietary supplements for skin enhancement, anti-aging and over-all wellness, basic vitamins, oral analgesics, and other over the counter medicines. It was very interesting for me to try the Collagen + Vitamin C + Zinc for younger looking skin , Mangosteen + Malunggay Capsules for antixiodants. 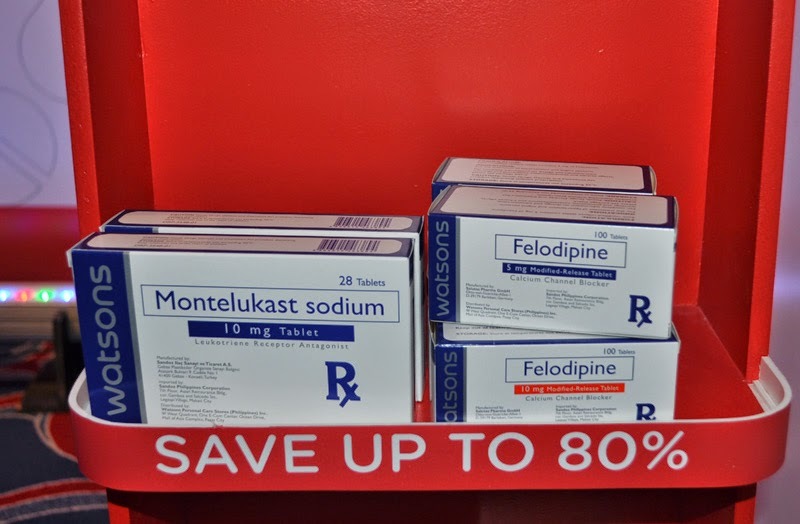 If you are anemic or for iron deficiency then FERROUS Sulfate + Folic Acid are now available at a much cheaper price. 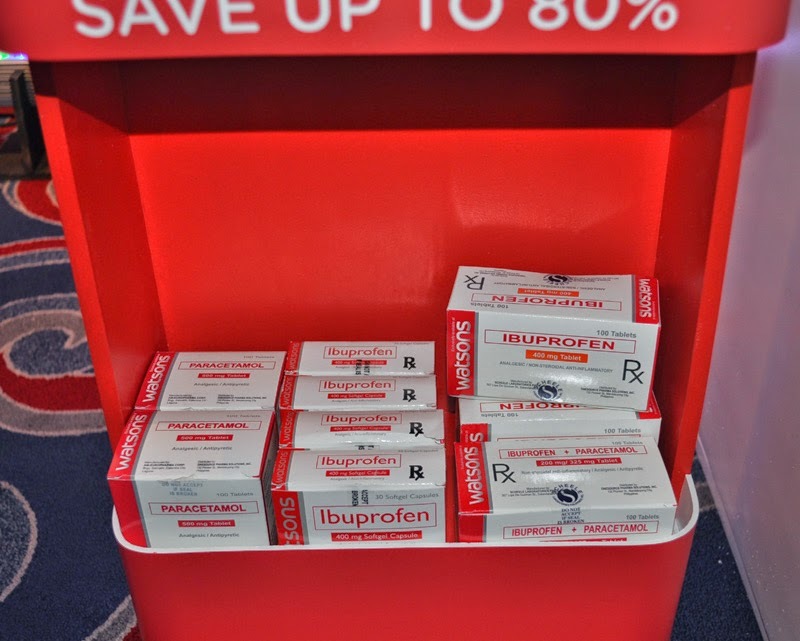 Paracetamol, Ibuprofen and a combination of Ibuprofen + Paracetamol capsules are available for fever and pain. Psyllium Fiber power food supplement, Lutein 50mg + Zeaxanthin 5 mg softgel capsule and Cetirizine. Multivitamins, Vitamins B1+B6+B12 and Glutathione and Milk Thistle + Alpha Lipoic Acid for Liver Detox and Skin Lightening. 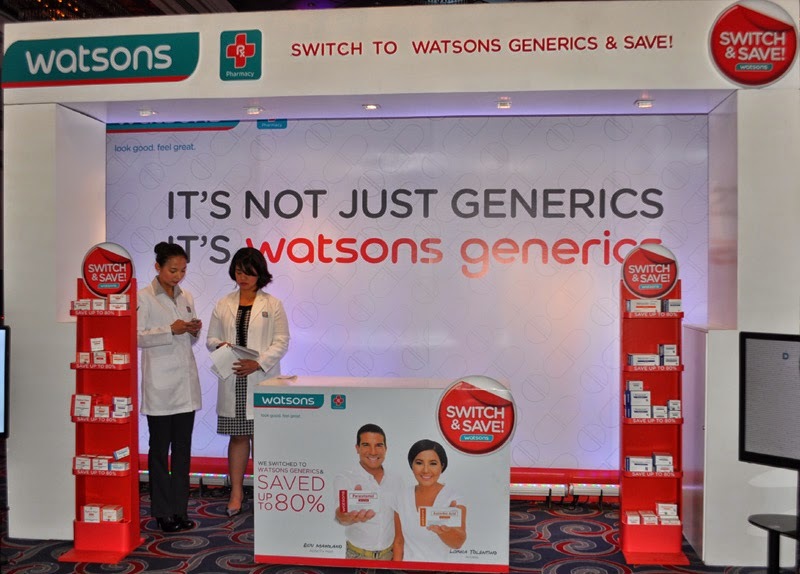 According to Watsons, This is just the first phase, and it aims to continuously launch generic medicines to provide wider healthcare solution. 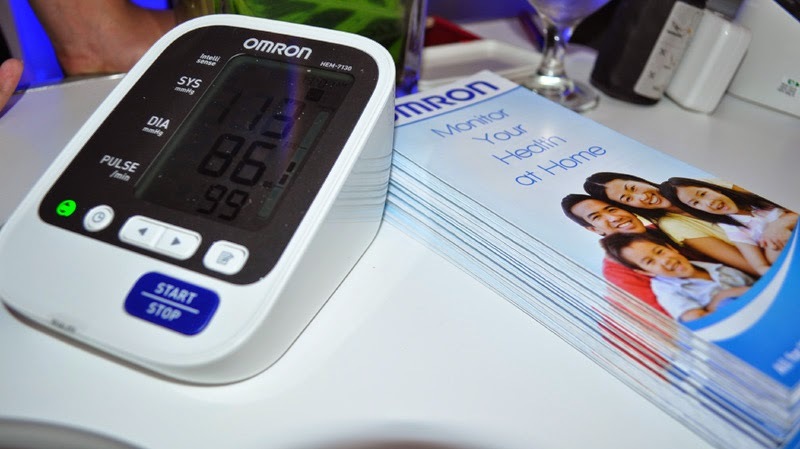 “We recognize that each family will have specific needs when it comes to their health. However, with the rising cost of not just medicines but all commodities, families may have difficulty meeting each specific need. 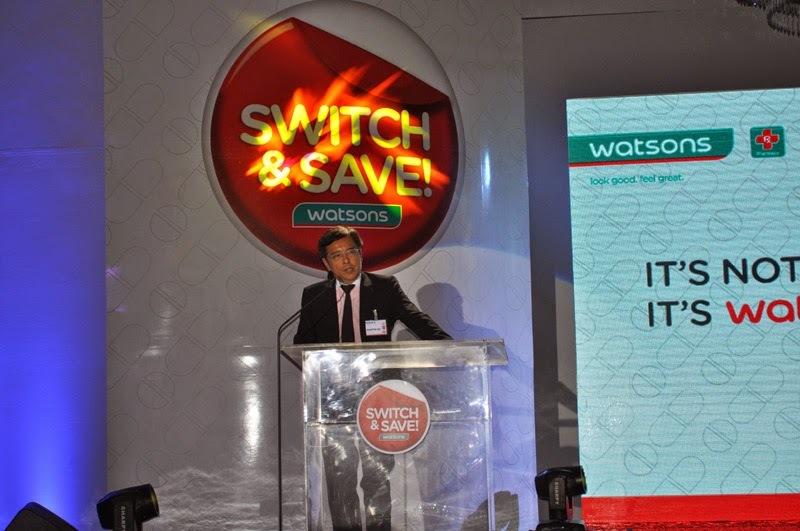 With the launch of Watsons Generics, we aim to help families by giving them more healthcare options and the ability to purchase affordable, high-quality medicines. This will not just give them access to quality healthcare products, they will also be able to focus their finances on other important matters." 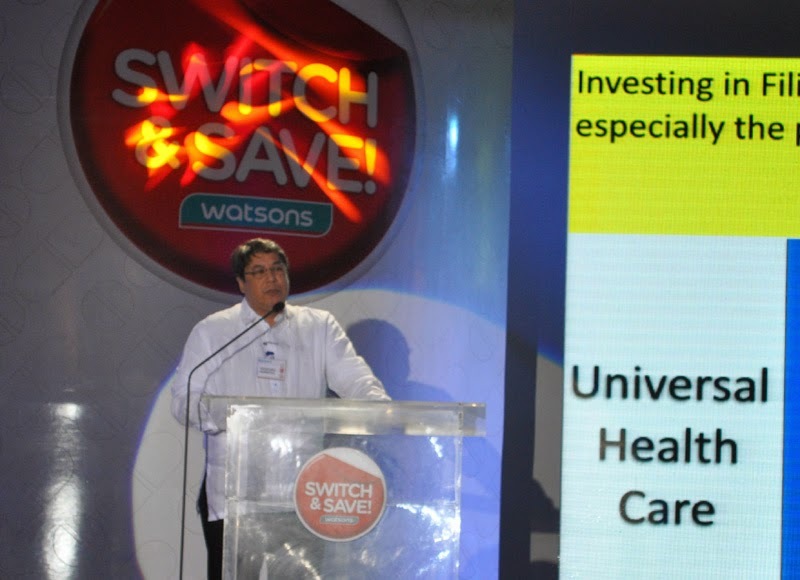 Dr. Teodoro Herbosa, Undersecretary of the Department of Health were one of the guest speakers during the launch. Dr. Anthony Leachon, President of the Philippine College of Physicians, emphasized that health literacy plays a critical role in addressing the dismal health situation of Filipinos including poor health and high risk of hospitalization. “There still are many gaps that need to be addressed to improve health literacy in the country. Poverty and lack of education remain to be some of biggest contributors that prevent patients to communicate, understand health information, and subsequently make sound decisions about their health. What we need is a pragmatic approach toward health literacy—not only involving the doctor and patient but also the pharmacist and product,” shared Dr. Leachon. 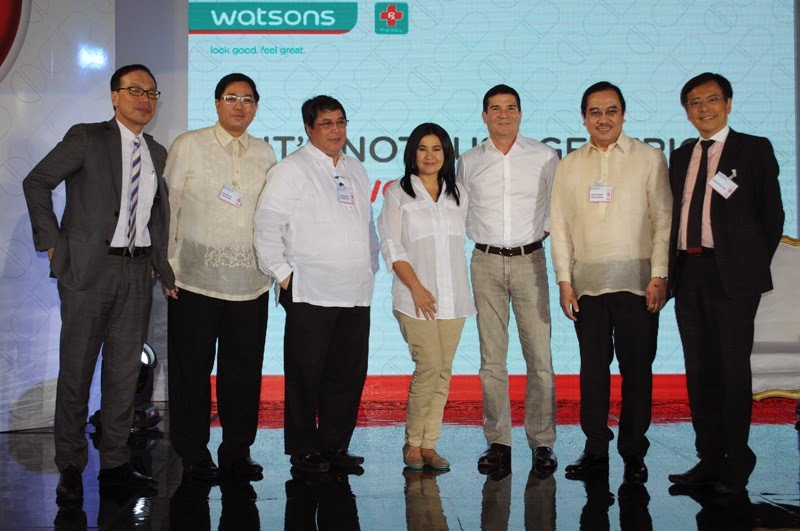 They also introduced the Watsons generics brand ambassadors Lorna Tolentino and Edu Manzano. 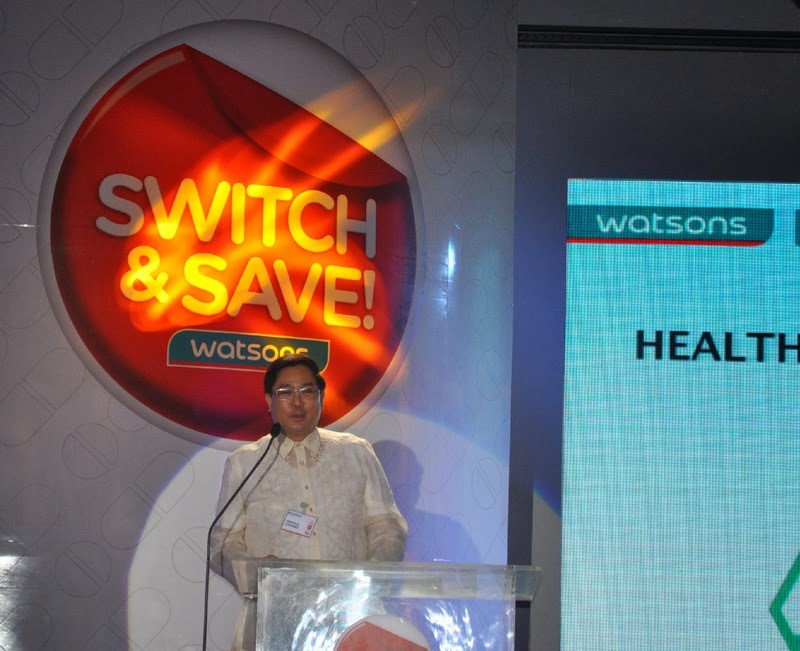 (From Left-Right) Program host Christine Jacobs-Sandejas, Robert Sun, General Manager of Watsons Philippines, Danilo Chiong, Head of the Health Business Unit for Watsons Personal Care Stores (Phils) Inc., Dr. Teodoro Herbosa, Undersecretary of the Department of Health, Brand Ambassadors Lorna Tolentino and Edu Manzano, Dr. Anthony Leachon, President of the Philippine College of Physicians, and Martin So, CEO of ASW H&B Asia and Eastern Europe. After the program, I claimed my multivitamins and I was able to also take home Watsons Generics Glutathione and Milk Thistle + Alpha Lipoic Acid, Collagen + Vitamin C + Zinc, Ibuprofen, Vitamins B1+B6+B12, Multivitamins + Iron, Ibuprofen, Paracetamol, Loperamide HCl and Ascorbic Acid. Watsons Beauty products label such as Fresh mint mouthwash, cream body wash, shower gel, hair treament wax, cream hand soap and shampoo. 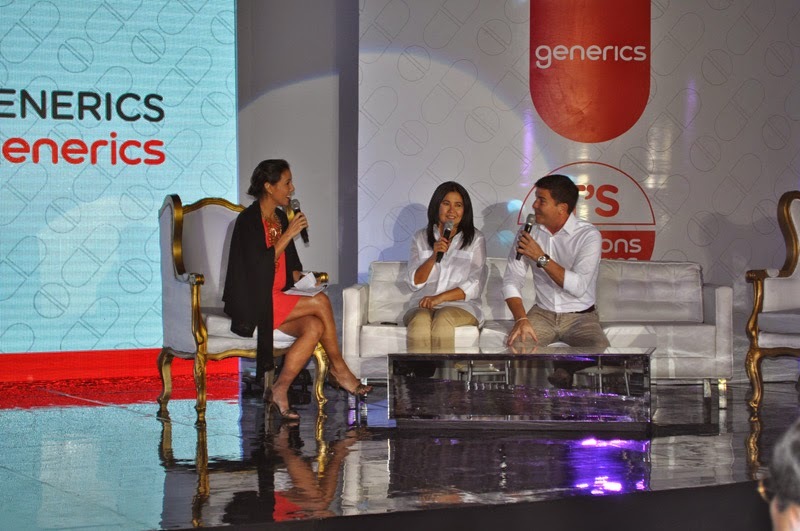 Watsons Generics is now available at ALL Watsons stores! 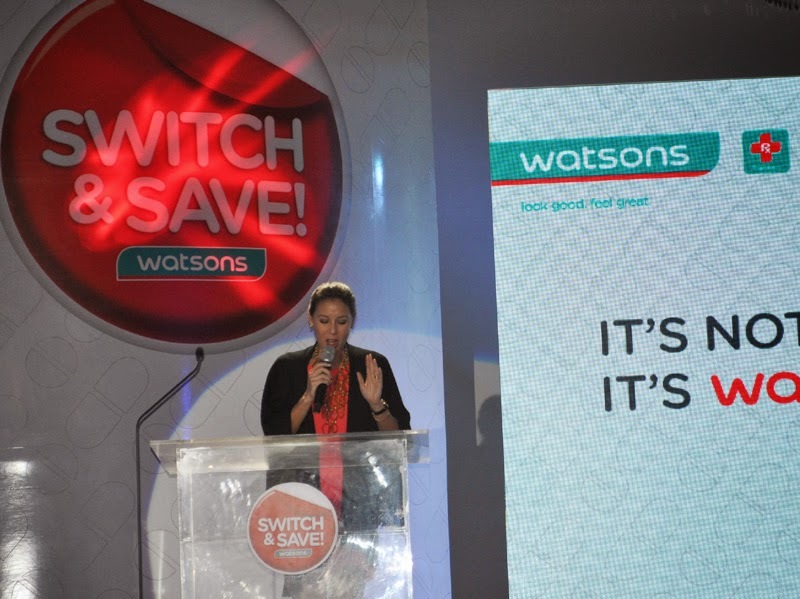 Visit your nearest Watsons branch to start switching and saving! 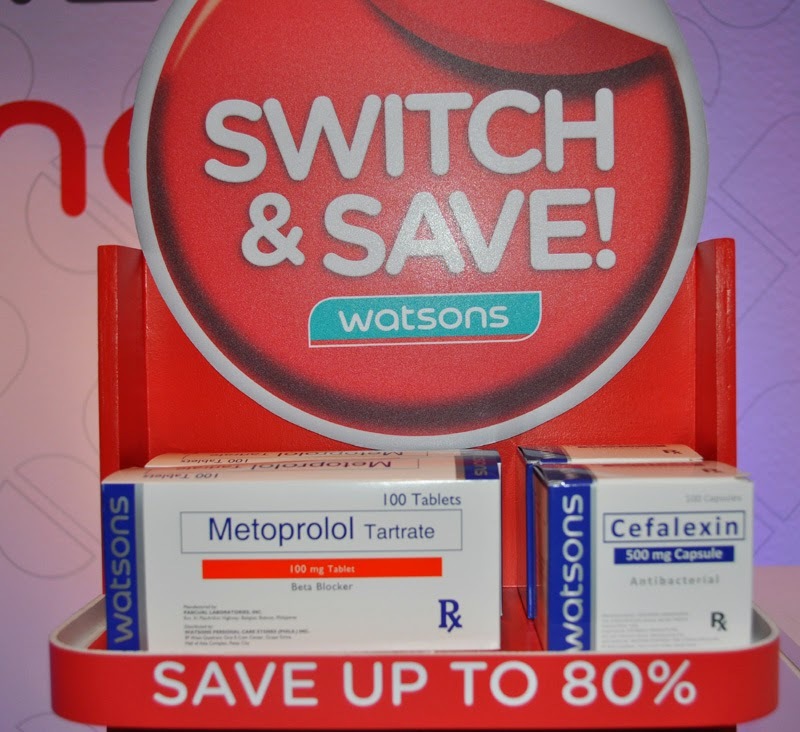 Like Watsons Philippines on Facebook for more details and promos. 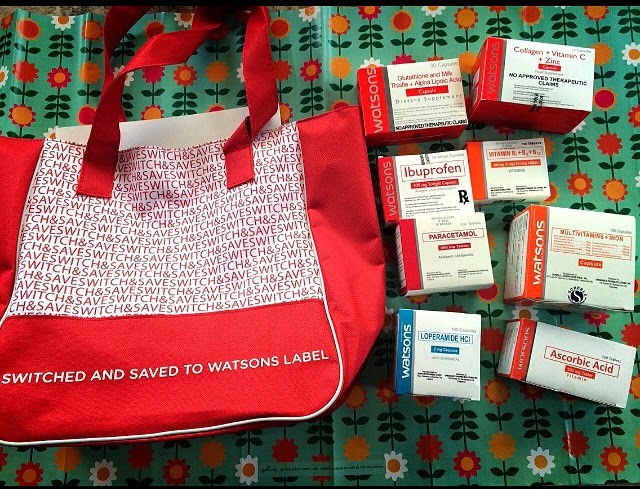 I'm also a fan of Watson's products because they are cheap yet they are of good quality. This is a good offering from Watson's. 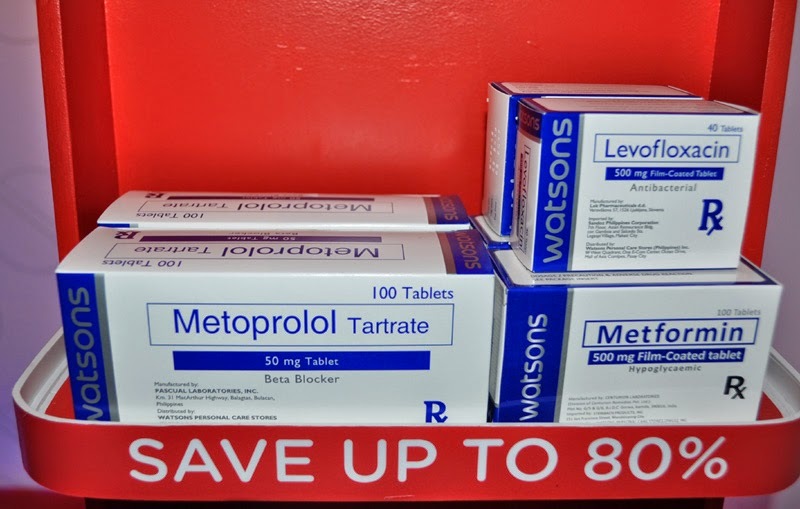 My family and I would definitely switch to this brand when we purchase medicines. :) Thank you for sharing. PS. Are those products you've shown you got for free? If yes, you are so lucky! Yes it was given as token. :-) I love it! Wow naman. Love how informative and really helpful this event. 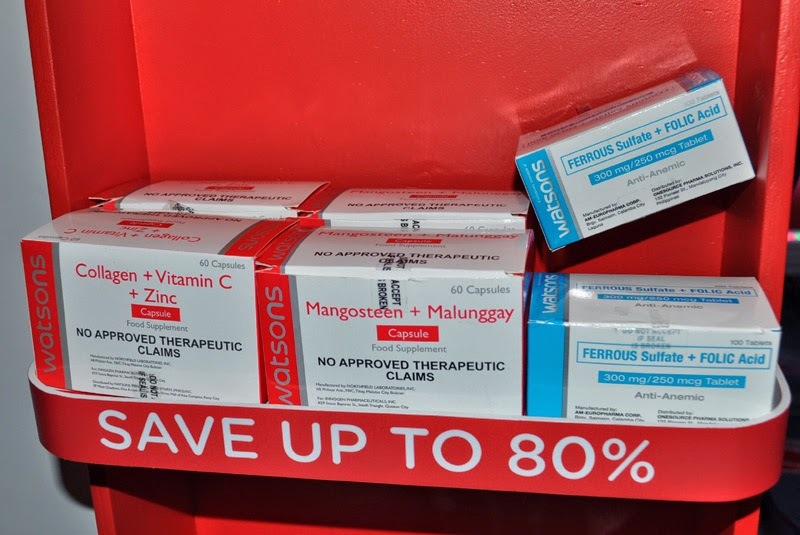 Ang bongga at may consulation, and thanks for the doctors who's taking care of our body :) What I love watsons products, they are cheaper than others, pero yung quality is almost the same. Specially their skin care line, they are all amazng. You could try their nose strips and it was really effective. And I remember using hair wax which you have given to me, haba ng hair ko nun. Super bango and lambot. Love it! and thank you Ms. Rochelle! I haven't try to take vitamins and medicines from them, but Im looking forward to try it too :) Thanks for sharing!! <3 You really rocked the last photo. Uber sa pretty!! hi!how much is the Collagen + Vitamin C + Zinc ? i just bought Collage + Vit C + Zinc, is it once daily? Oh I am a medicine student (learned about vit, medicine, and dangerous drugs) and yeah I'm conscious about looking good (because I'm not born handsome) so I wanted to always look fit! and there it began I'm a fitness enthusiast. When I heard about that Collagen+VitC+Zinc is ideal for my recovery days! Collagen is an ideal muscle building! Vit C help recovers muscle! and Zinc increase male hormones! really good! aside taking some muscle growth supplements I'm gonna try this! Good ba sa liver ang collagen at gluta ng Watson? Good ba sa liver ang collagen at glutathione ng Watson? Good read . Watsons lover din ako . Why Oil Can Clean Your Face Better Than Soap? How to help your kids with Math Problems? I won my dream car in just a tap away!